Want to track product inventory in Daylite? How about track time, quote, and invoice? Are you dealing with foreign or multiple currencies? 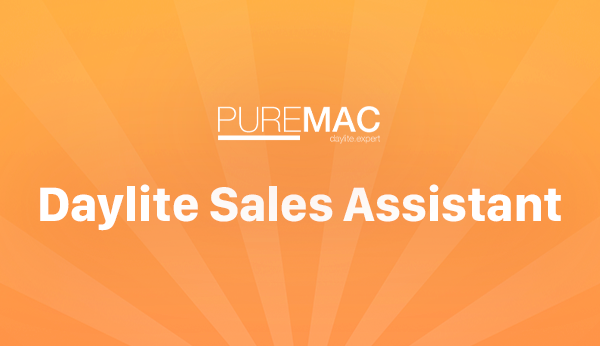 Daylite Sales Assistant can help! Our friends at PureMac in Australia have been hard at work building a solution to help Daylite customers track time, manage invoicing and billing, manage product inventory, and manage multiple currencies all in Daylite so you can streamline your sales process. Stop resorting to multiple systems and spreadsheets to perform standard operating procedures. Thought you could not get a system to deal with your unique processes? Daylite Sales Assistant can help you replace manual processes with more streamlined and automated operations . Let Daylite Sales Assistant handle pricing and inventory issues, approval and compliance issues, currency location issues – even digital rights management issues. Interested in learning more about how Daylite Sales Assistant can streamline your sales process? Visit PureMac’s website.